Fraser River Hell's Gate | KUMSHEEN | Raft. Relax. Recharge. 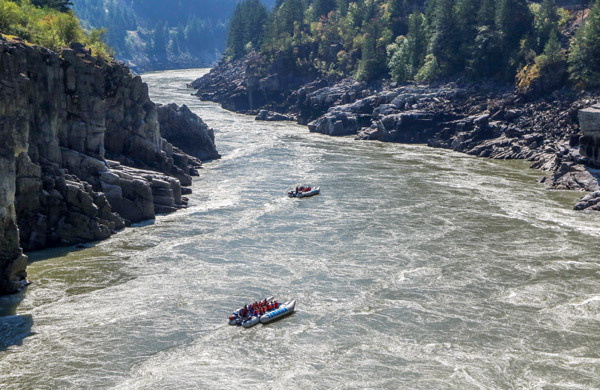 This is a one day run through the big water of the lower Fraser River and world famous Hell’s Gate. 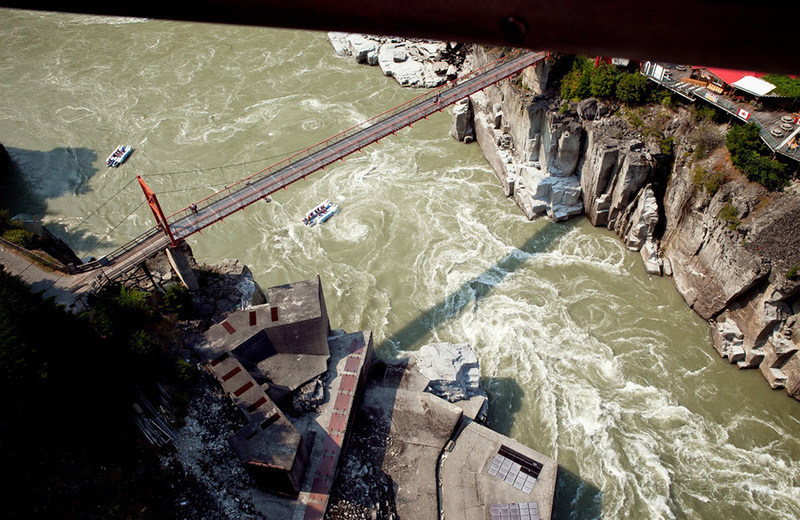 The river flows through a rugged canyon and alternates between a few big rapids and relaxing calms. 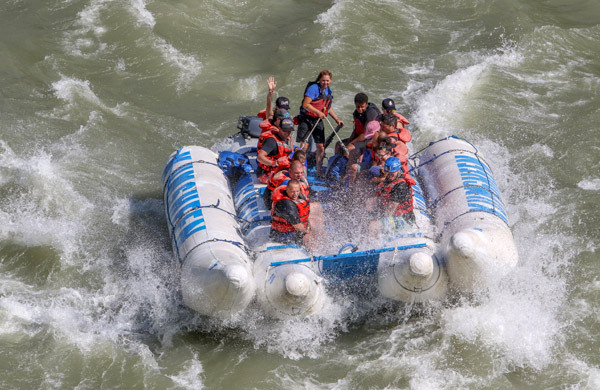 The roar of Skuzzy, China Bar, Hell’s Gate, Little Hell’s Gate, Saddle Rock, and Simpson’s Falls can be heard as the river crashes down in a foaming cauldron of gigantic waves, whirlpools, boils, and eddies. This river corridor is rich in gold rush history. The Cariboo Wagon Road – once one of the marvels of the world – is still visible in places and hangs precariously along shimmering cliffs. This relic highway, opened in 1862, was used for a quarter century by camels, oxen, mules, and horses as the main artery into the interior of BC. Join us for a memorable trip down one of the world’s great rivers. You’ll be glad you did.